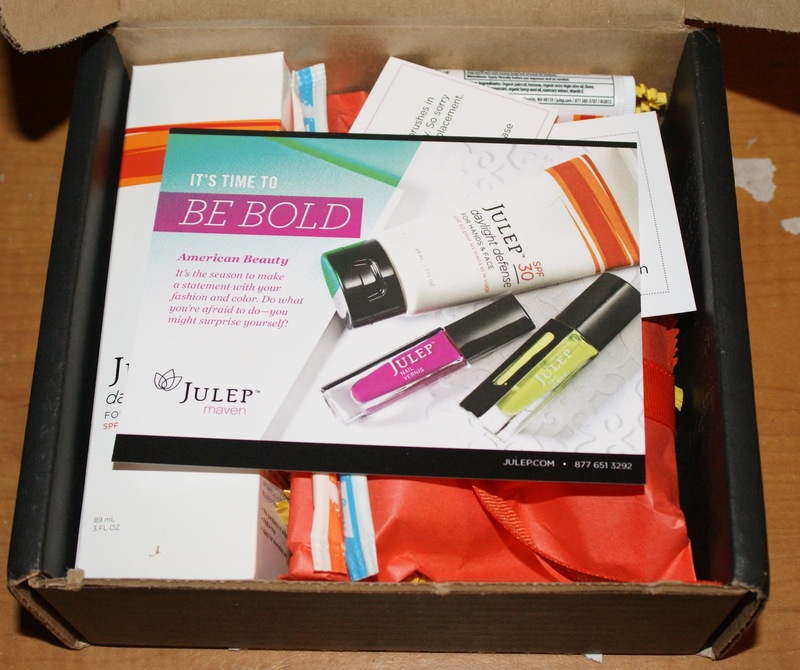 To kick off the work week, I thought I would show off my June Maven Box. I receive American Beauty, though I did switch for the July box that is due to arrive any day now. You can receive your very own Maven box for just $.01 by clicking here and using the code MAVENINTRO. You can cancel after that first box if you would not like to receive any more boxes. So without further adieu, here is my June American Beauty Maven Box! WARNING: This one's a little pic-heavy. Here is how the box looked when I opened it up. As I mentioned in my May Maven Box review, the brush for Kylie was pretty wonky. 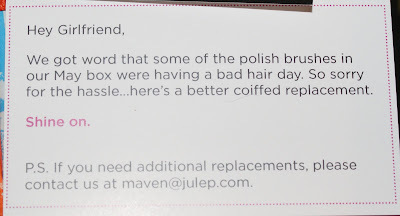 But I'm happy to see that Julep was highly proactive and sent out two brushes to me. I never had to ask. 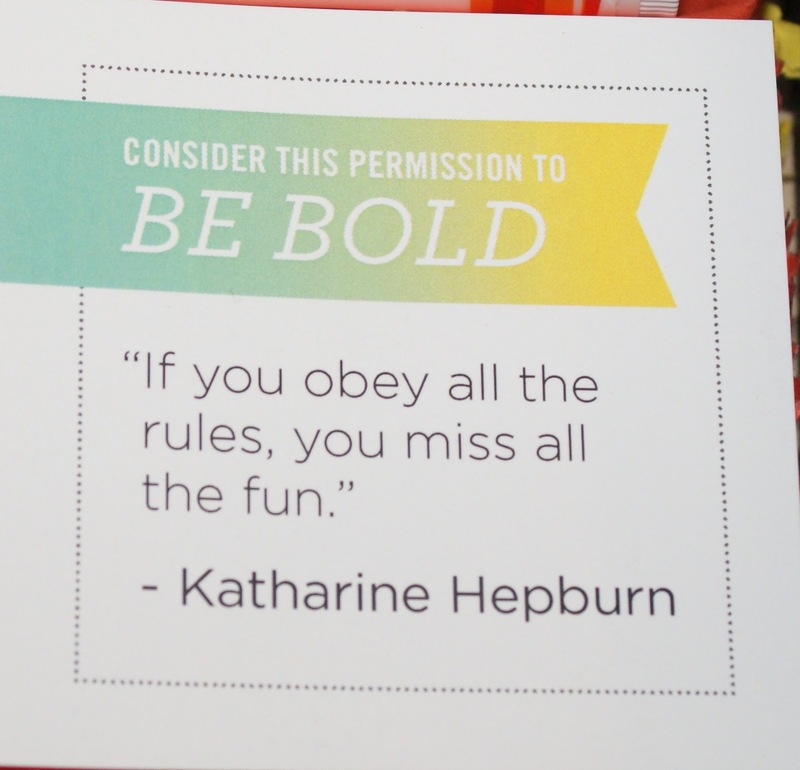 Not to mention the fact I LOVE Katharine Hepburn, so this quote made my day! As you can see, there is SPF-15 lip balm that tastes like vanilla spearmint (it's yummy and very light on the lips), the SPF-30 moisturizer for hands and face (my mom likes it so far), and the Pixie Stix! How cute! 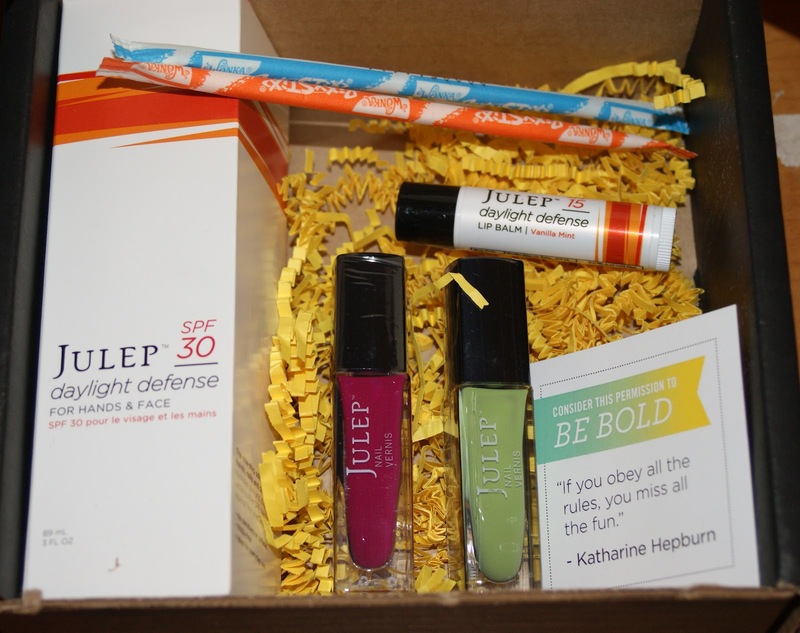 And here is EVERYTHING unwrapped, including Julep Lily (left) and Julep Courteney (right). 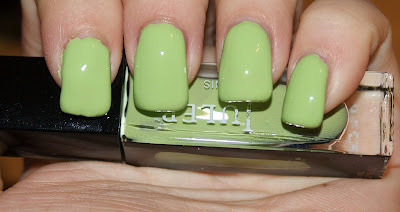 First up is Courteney, a pastel lime creme nail polish. It reminds me of Julep Sofia, but without the glitter. Though, this was a much goopier formula overall than Sofia. It was just kind of meh for me. 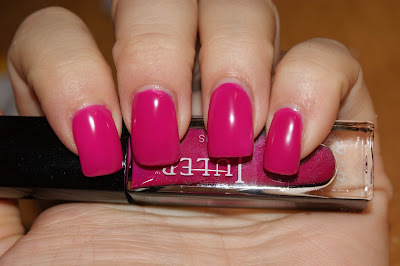 Julep Lily, a magenta creme nail polish, was MUCH more my style with a substantially better formula. Though, it dries a little on the matte side, so you will need a top coat to get it really shiny. But it's still gorgeous and rich. I suspect The Queen Mum will want to borrow this one from me too. 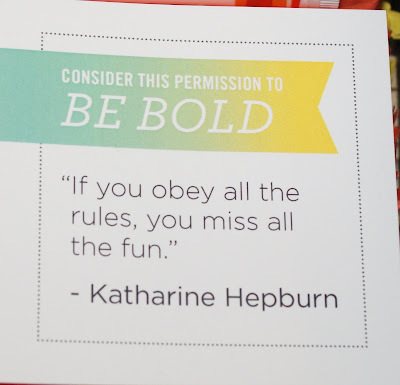 She has already worn Julep Eva AND January!